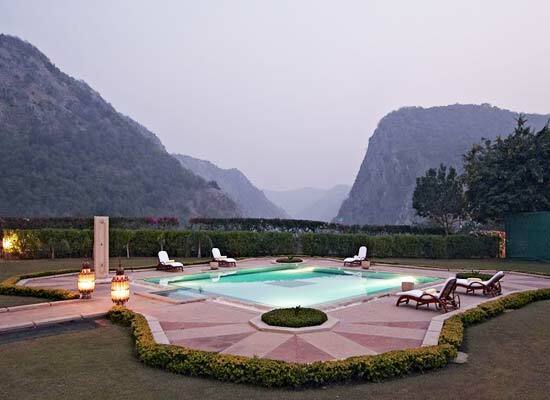 "Once the favorite getaway of the former Maharaja of Jaipur, the Gateway Hotel Ramgarh Lodge is one of the best heritage hotels of Jaipur, which is an ideal mix of modern comforts and matchless hospitality services. 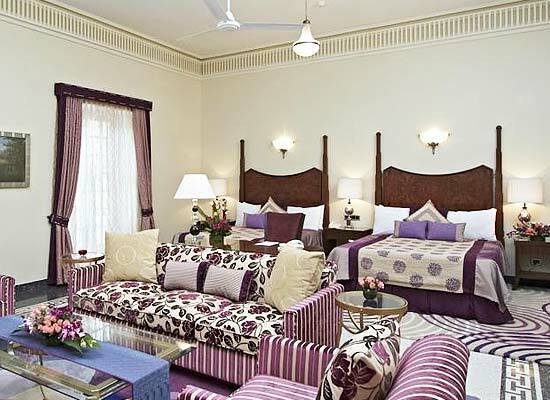 Having the lofty Aravallis in the backdrop, this heritage property has huge rooms, boasting of a regal decor. The hotel offers a memorable stay to leisure vacationers as well as business visitors. The hotel has a spa, an impressive dining venue, spacious rooms and other facilities. Designed by Sir Swinton Jacob, Ramgarh Lodge was former getaway for Maharaja Man Singh and Maharani Gayatri Devi. 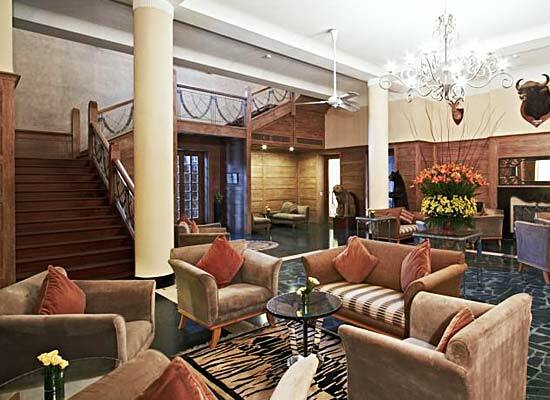 It has now been turned into one of the finest heritage hotels in Jaipur. 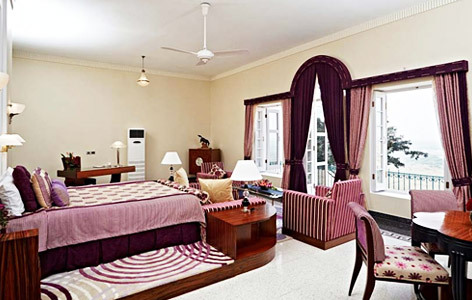 Surrounded by lush acres of greenery, this regal resort reminds us of the bygone era of grandeur. Spread in an area of 41 sq. m, Deluxe rooms offer a luxurious view of the surroundings mountains or the hotel’s garden. These rooms come with a king-size bed, large windows, high ceilings, and an attached bathroom with four fixture. Carrying a blend of contemporary and traditional features in its interiors, Deluxe suites spread in an area of 60 sq. m. From the huge windows of your suite, savor the views of the mountains or the garden. The suites have both twin and king-size beds, four fixture bathrooms and so on. Covering in an area of 65 sq. m, Executive suites is pure luxury and royalty. These suites come with both twin beds and king-size bed. The large windows offer the views of the well-maintained garden of the hotel. Everything, from colors to textures, to the amenities or the private terrace, ooze out opulence. 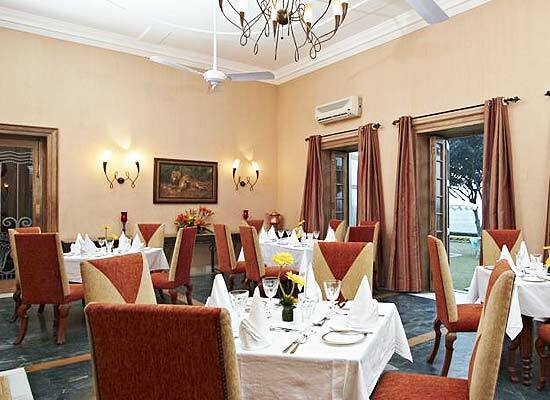 There is a spacious dining hall in Ramgarh Lodge, Jaipur with an elegant décor that serves multicuisine delicacies. Jaipur is called the Pink City of Rajasthan. Famous for its forts and magnificent palaces Jaipur attracts tourists from all over the world. Be it the Nahargarh Fort, City Palace, or the Hawa Mahal there are a number of tourist attractions in Jaipur which reflects the rich glorious past of Rajasthan.